Big Jimmy's Motorcycle Forum > Alright, let's talk bikes! > Gear > Gold Chrome Masei 815 Helmet!! 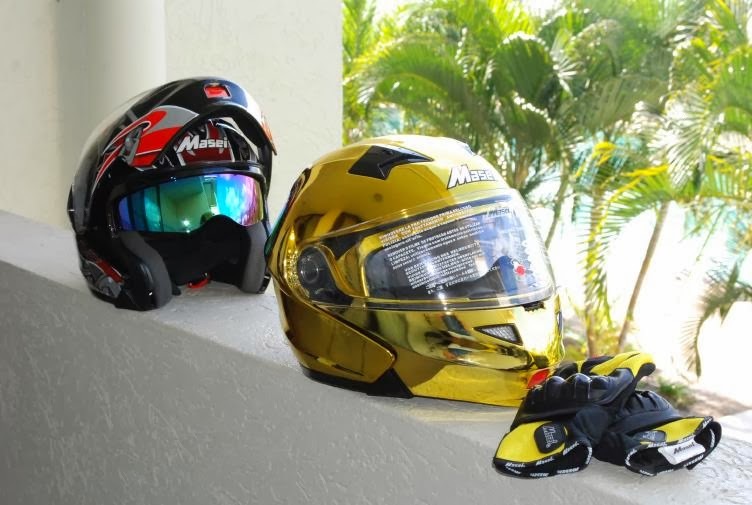 Gold Chrome Masei 815 Helmet!! Hey Yall, it's Diamond of KLR I Recieved my Gold Chrome 815 Modular helmet about 2 weeks ago. I LOOOOOOVE it!!!!! The shipping was very fast also. Thanks a million. I love the gold one so much that I just ordered the silver chrome 815. The silver chrome would actually match my 2's better due it being black and all the rhinestones I got on my baby. Every time I come around the corner 'Bling" "Bling" . Masei Helmets are beautiful!!!!!!!!!!!!!!!!!!!!!!!!! Wow. I would wear it if I had gold wheels. How much did it cost you? Beautiful helmet. Hope theres a bike that matches it.